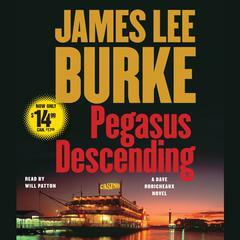 Pegasus Descending - Audiobook | Listen Instantly! 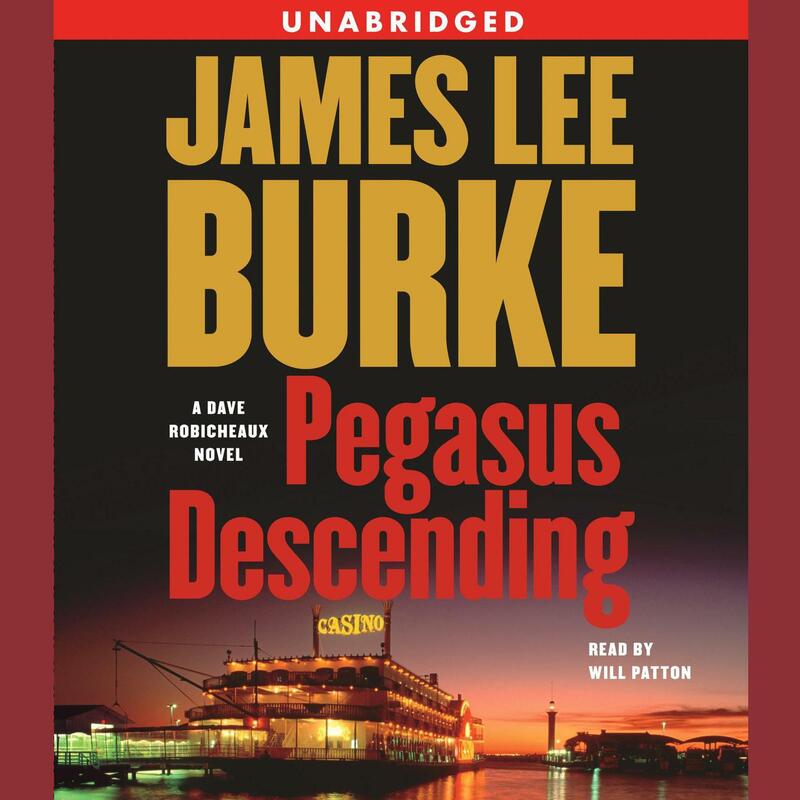 In Pegasus Descending, James Lee Burke explores psyches as much as evidence, and tries to make sense of human behavior as well as of his characters' crimes. 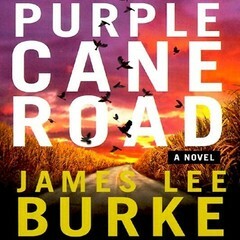 Richly atmospheric, frightening in its sudden violence, and replete with the sort of puzzles only the best crime fiction creates, Burke's latest novel is an unforgettable roller coaster of passion, surprise, and regret. Download and start listening now!
" 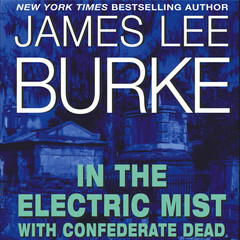 After reading 3 James Lee Burke books, I am thoroughly hooked. 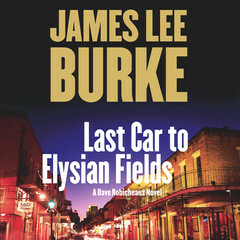 His criminals almost are not to be believed, and yet... Burke's writing borders on the profound "
" Another great book by Burke. This one takes place leading up to Katrina. Although it is about New Orleans (with flashbacks to South Florida in the 70s), it was an enjoyable read while vacationing in North Dakota. " 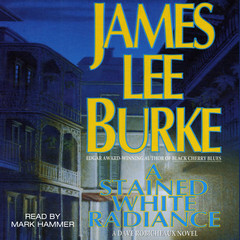 " I love anything written by James Lee Burke, especially Dave Robicheaux novels. " 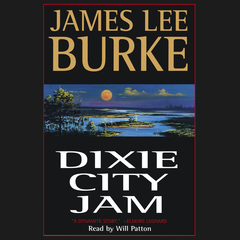 " Another fine book by James Lee Burke. No lighthearted fun, here, but the power of the descriptions, the pain of the characters, and the cutting social commentary had me going the whole time. All the way through, I liked this one as well as "Crusader's Cross", though the ending wasn't quite so tremendous, instead drawing a direct line to the next sequential book, "Tin Roof Blowdown". Still, a great book. " 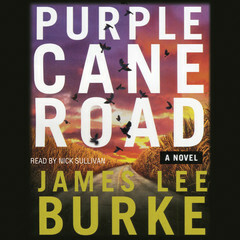 " The formula is present in all of his books, but when he is at his best, he adds a real sense of desperation and place. Also, the literary flair that is present in most of his books has been absent in the last few. I can see why he started writing about other characters around this time. He seems bored, and so are we. " 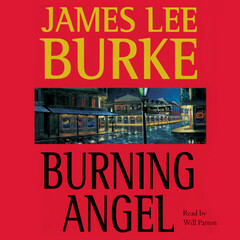 " If a better writer and story-teller that James Lee Burke exists within this genre, I have not discovered him or her. 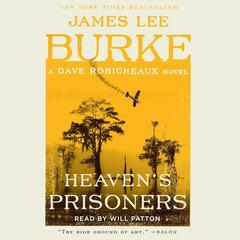 Another great tale of greed and murder featuring Dave Robicheaux. " 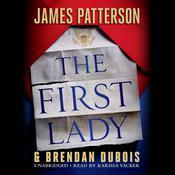 " Another good read about a amazing character "
" I like JLB's writing. I like the flow of his prose, his vivid descriptions and his flawed and human characters.I did feel he wrapped things up a little too quickly towards the end. " " I've always liked James Lee Burke but this might be my favorite. He brings New Iberia, Louisiana so vividly to life. 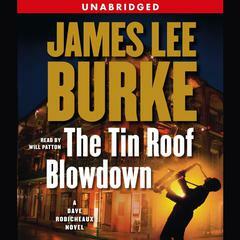 Burke is a master of creating atmosphere, and his characters are all interesting, especially Dave Robicheaux. " " My favorite male author. 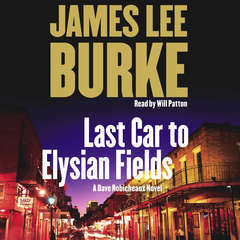 this is my man...he takes me back where i used to live "
" Suspenseful case for Dave Robicheaux involving the daughter of an old friend who was murdered, new skuzzy characters who don't hesitate to kill or maim and an old PI who can't stop getting involved. " " trite. 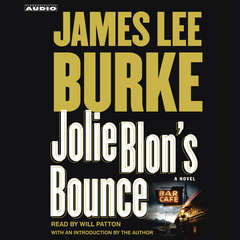 someone watched too many 40s crime dramas "
" This is the first book I've read by Burke, though my husband has read every single one. It's much grittier than I like, but it's so well done that I couldn't put it down just because of blood and guts. A great read. " " Fantastic 15th novel in the Dave Robiceaux series, this time revolves around Dave investigating the apparent suicide of a local young girl. Another fantastic intricate plot and once again beautifully written. Thoroughly recommend. " " I really enjoyed how Burke can paint a very clear, sometimes, odd or off, picture of the area you are entering in the book, or how the people are looking or acting with 3 words or short descriptions. " " Latest in a long series. A little more pathos and ethos than I'm used to, but otherwise vintage JLB. As Pop Pop used to say, "those that like it speak highly of it." 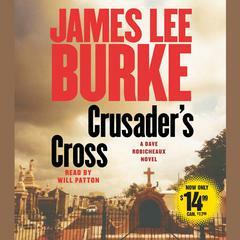 "
" Burke always creates an intelligent plot with good dialogue. His characters are highly believable and everything I have ever read by him is excellent light reading. " " I found this book really hard going until the last 60 page. Will probably give the author a miss from now on. " " Another Robicheau classic. " " Typical of the series. Characters are ageing. " " Pretty good. This is the 4th book in the series I have tried. Two I liked and two disappointed due to rediculous endings. The language and plots are so violent I don't think I will try anymore for a while. " 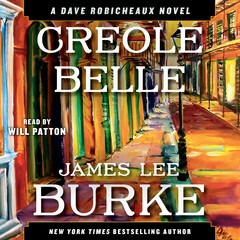 " Another great Robicheaux novel filled with rough and deplorable characters. 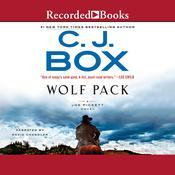 Dave and Clete are business as usual and the story keeps you guessing to the very end. " 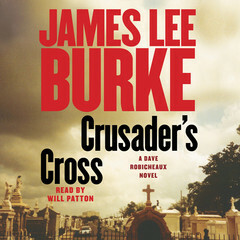 " More good Burke, death after death though. " 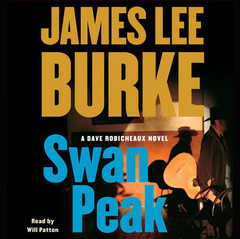 " Burke is just a phenomenal writer. I know of no one better at describing or eliciting a mood. 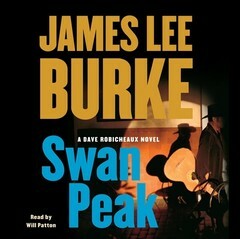 No one is able to write action scenes as well as Burke. His heroes are shown, warts and all, as real people. Highly recommended! " " Best DR book in a long time (but they're all worth reading). " 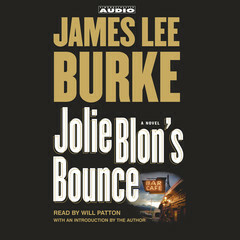 " Listening to Will Patton read Burke's amazing prose brings me back to the Burke novels over and over again. This time, the story is unusually dark and I found the ending unsatisfying but it's worth a listen just to hear Patton spin his magic. " " A quick and entertaining (or distracting when sick) read. " 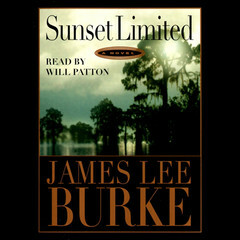 " This is the second book by James Lee Burke. 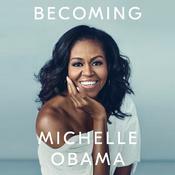 his style of writing makes me go back, to reread a sentence or two I feel connected to the wisdom he put in this book and his no hold back way of writing. " 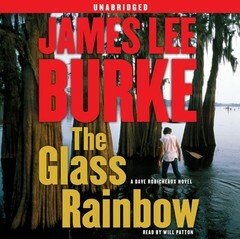 " I guess because I am a James Lee Burke fan (for last 20 years or so) I rate all his books high. But this one was better than a few of his last ones. A lot of things have changed for Dave R. and his buddy had a real hard time in this one. But I loved it. " " Early discs, maybe on the 2nd, still setting up story. Burke spends a great deal of time with descriptions. He wants the reader to visualize the scenes, very colorful. 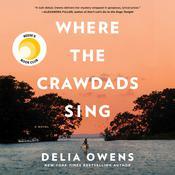 Putting this on hold while I listen to Eudora Welty's Delta Wedding. " " Great story. I actually was impressed with this book as opposed to the first one I read by Mr. Burke. I enjoyed his use of simile. He had some great expressions. " " Very enjoyable. Burke is very consistent. " " Have enjoyed his books for many years now and always await his next one. " " Don't know how I missed this one! " 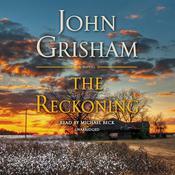 " Dave Robicheaux Novel, I really enjoy this series with "Streak" as the main character. " " 3.5 Dave R. is my kind of guy. Even more venal and corrupt cast of characters than usual. "